The three eye-catchers of Missiano are Castel d’Appiano, Castel Boymont and Castel Corba. 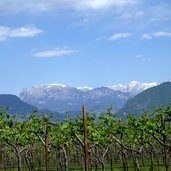 Missiano is located on a sun-drenched wine-hill above the Valle dell’Adige. A real landmark: the S. Apollonia and Zeno church. 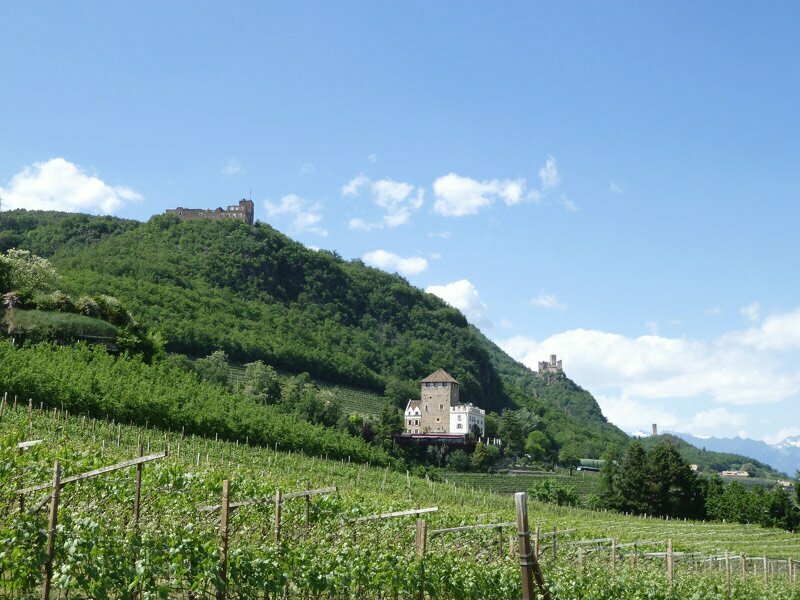 The ”three castles” of Missiano: Boymont, Corba and Castel d’Appiano can be best experienced in the Three Castles Walk (Dreiburgenwanderung). 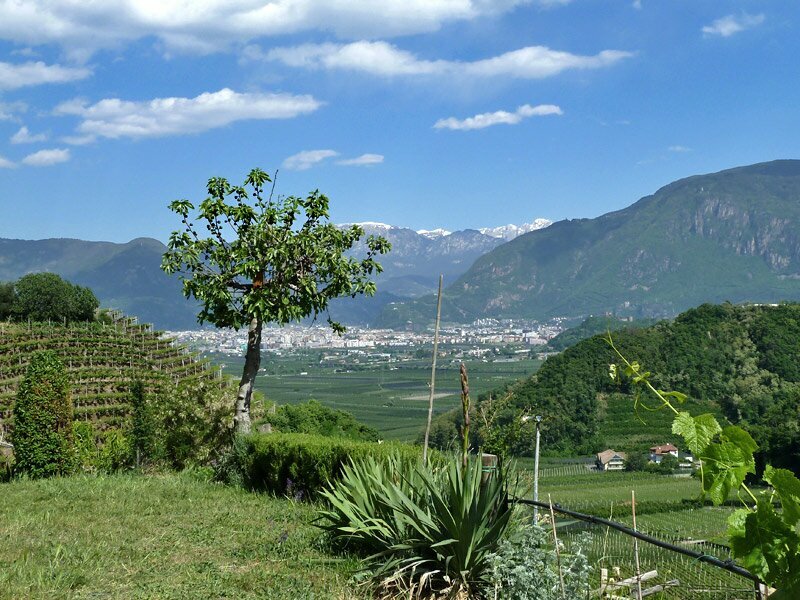 View from the church hill towards Bolzano: vineyards and Mediterranean vegetation catch the sight. 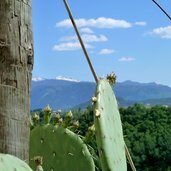 Spring in Missiano: round the church the vegetation is luxuriant, comprising cactuses, figs and olives, the snow-capped mountains represent a sharp contrast to the Mediterranean vegetation. 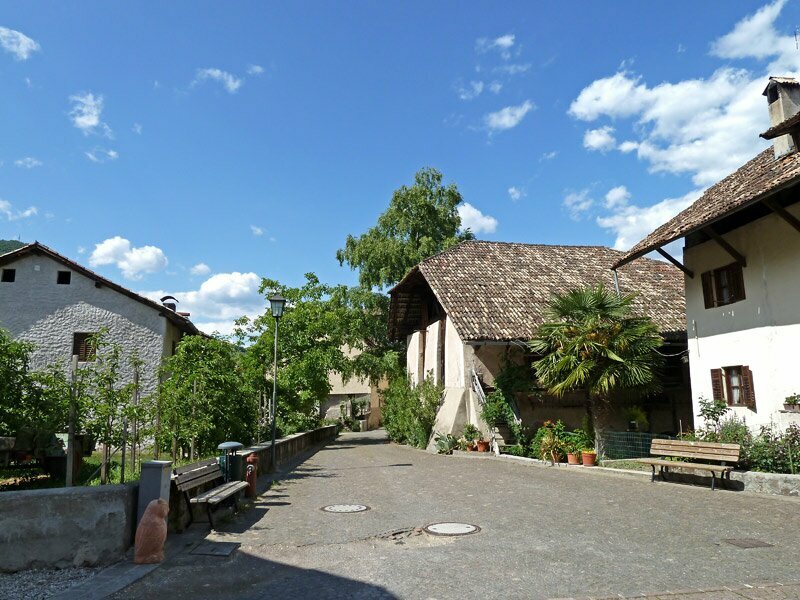 A tranquil heaven of peace: in the village of Missiano, there is no through traffic. A great place for enjoying the sun - Missiano. 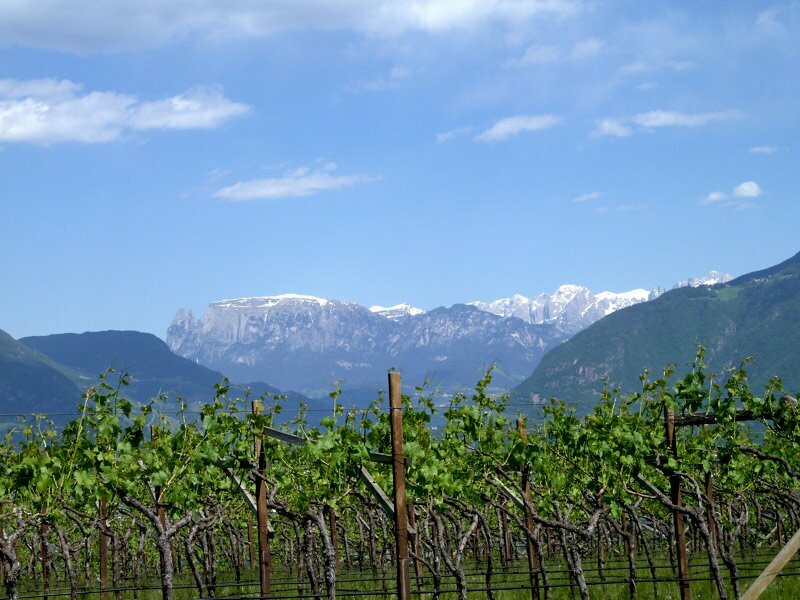 The Dolomites: Sciliar and Catinaccio in the background of the vineyards of Missiano. 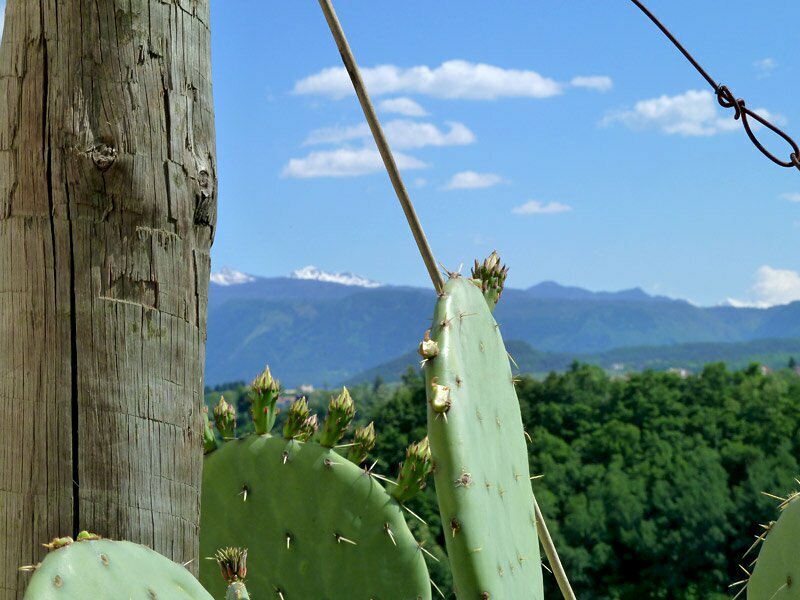 From Missiano, lovely hiking trails take you to the castles of Appiano and along the mountain to the Val d’Adige. Autumn atmosphere at Missiano: at the end of October the wine-hills boasts a blaze of colours. In the background the Monte Macaion. 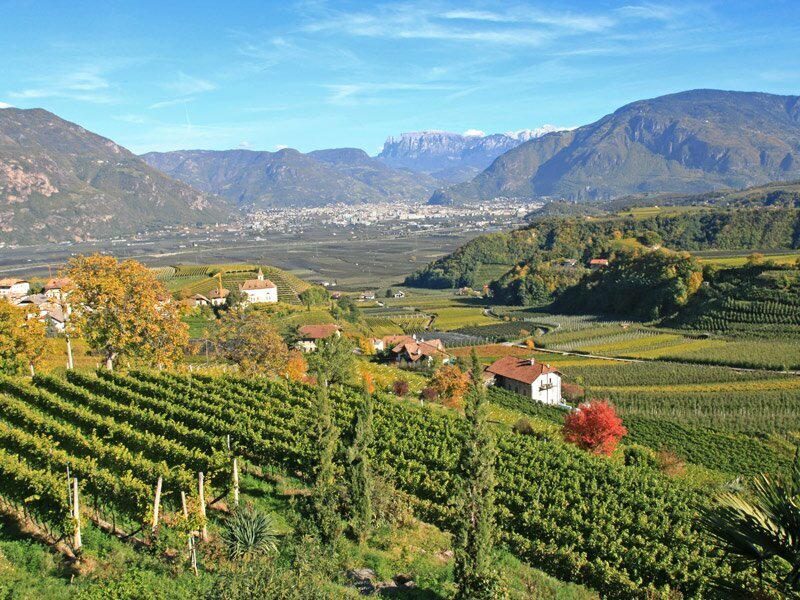 View of Missiano in late autumn, in the background the valley basin of Bolzano. 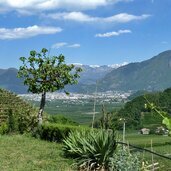 See panorama View from Missiano on Bolzano and the Val d’Adige. See panorama Great panoramic view from Boymont Castle on Oltradige and Bolzano. 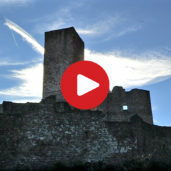 One of the highlights in Oltradige is a tour of the Three Castles in Appiano. 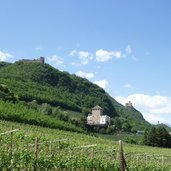 We meet Baron von Hohenbühel Dr Carl Phillipp, who passionately shares his knowledge about Castel d‘Appiano, Castel Boymont and Castel Corba. 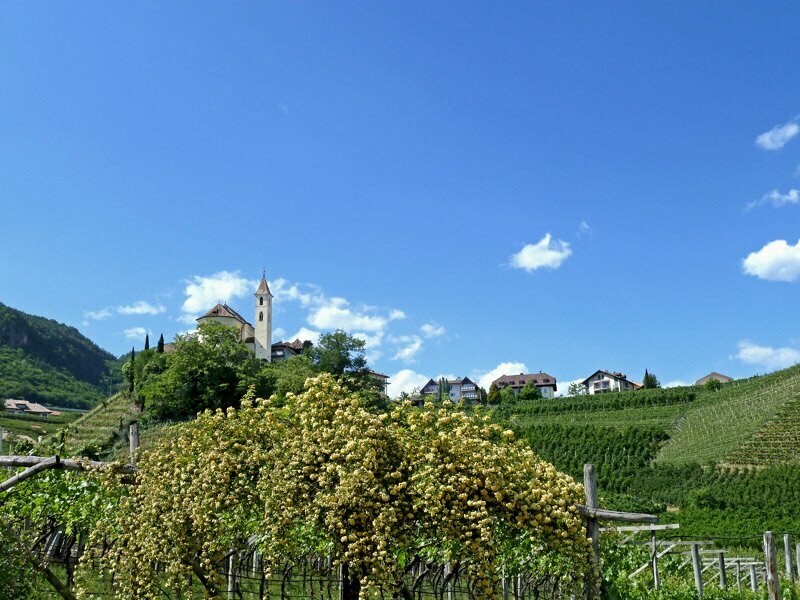 Together, we visit the „Kreideturm“ tower and Castel Boymont. 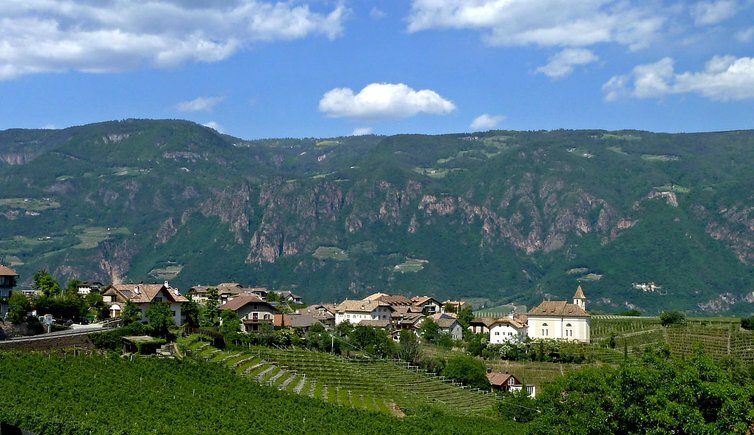 Flying over the medieval Appiano Castle, with a wonderful sight on Appiano, Bolzano and surroundings and the Dolomites. Scary stories and Medieval murals that every year again are revitalized by the vegetation and the visit of a great number of people, as well as their lords. 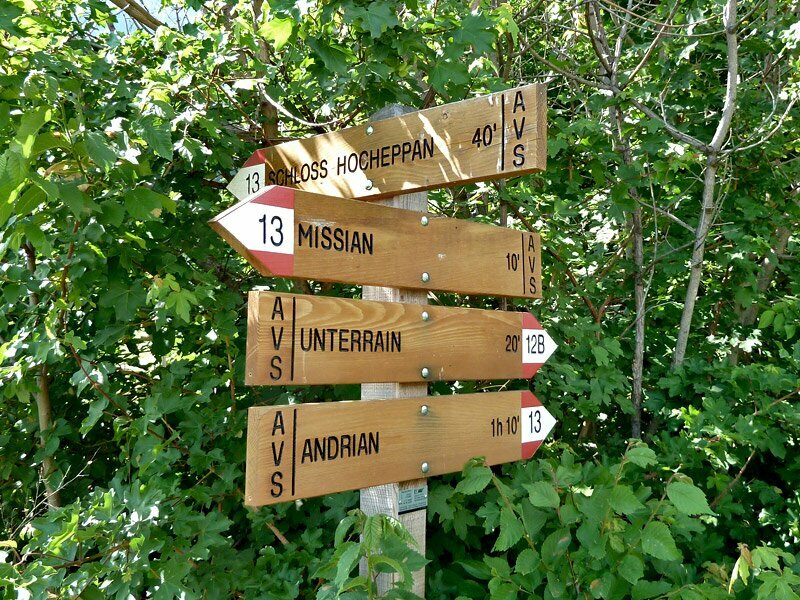 In Appiano, we did a special walk, the Walk of the Three Castles, named “Dreiburgenwanderung”. 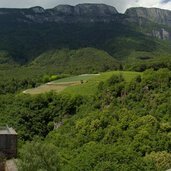 The ruin of Castel Boymont, one of the castles you come across in the “Three Castles Hike” in Appiano, as seen from above. Castel d’Appiano, constructed in the period of 1135 - 1130 by Ulrich II, rises in Missiano, a village that belongs to the municipality of Appiano. Once upon a time Castel d’Appiano was considered the most mighty castles of the region. Particularly worth to be visited are the castle chapel with its frescoes, which are considered among the most ancient of the Alpine area. In the interior of the castle, there is also a tavern, offering mouthwatering treats for your palate. 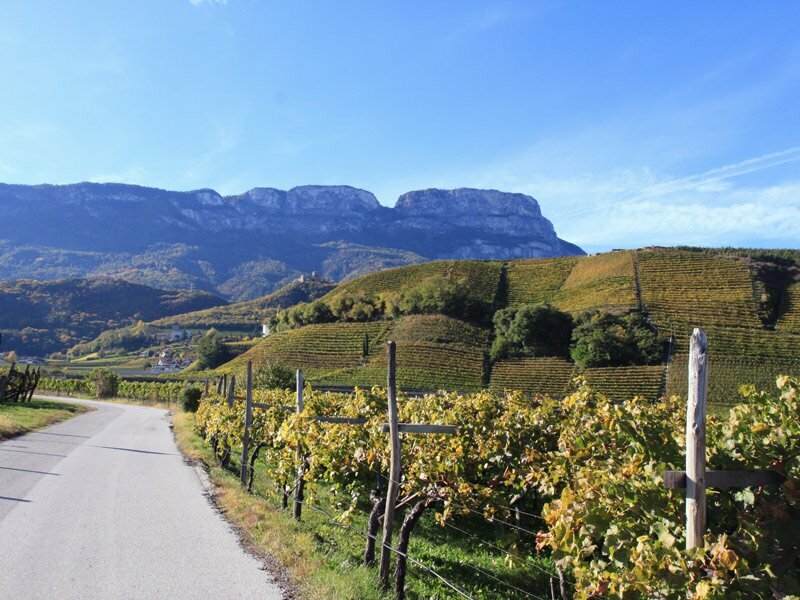 Missiano is located at 388 m asl, at the foot of the Monte Macaion and is above all famous for the walk that takes you to the three castles of the village, called “Dreiburgenwanderung” (Three Castles Walk). 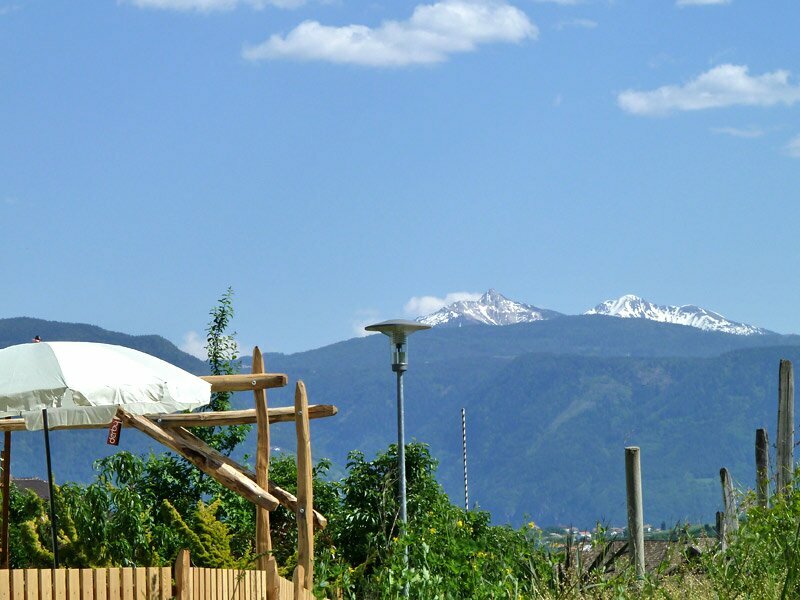 The small but mighty village provides tranquillity and makes you forget everyday life. The 240 people living in this place live true to their balance. 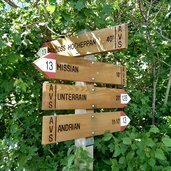 In the far 1237, a settlement called Missianum appeared for the first time in documents. 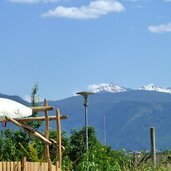 Already in this period people appreciated the great location, which by the way makes you enjoy a great panoramic view on the Val d’Adige and the Sciliar. The ultimate highlight is, however, the walk of the three castles. During this walk you can experience several adventures, taking you over stairs and steep trails. 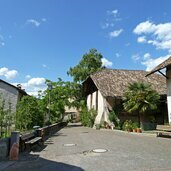 The Burgschenke castle tavern at Castel d’Appiano as well as Castel Boymont are by places that provide relaxation in historical ambience. 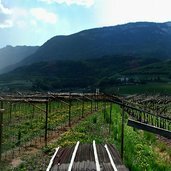 Castel Corba is considered the starting point and also provides accommodation. 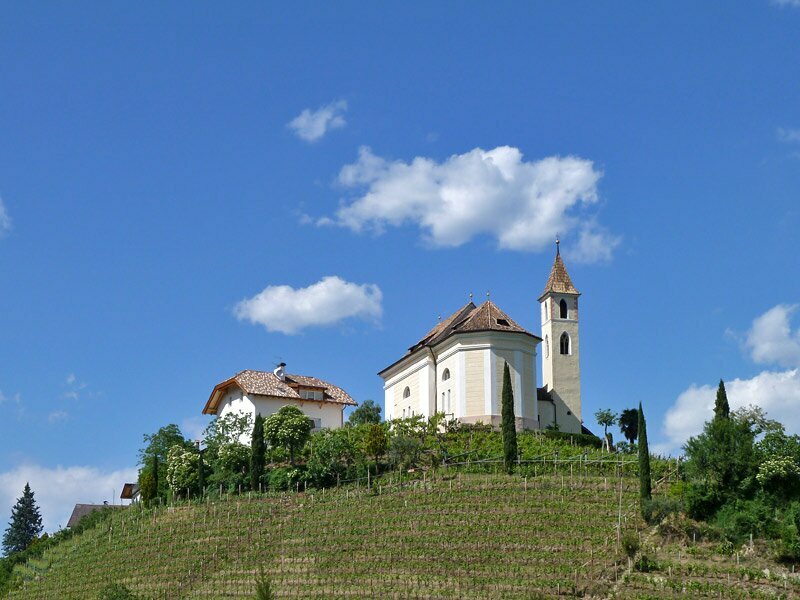 The parish church is dedicated to S. Apollonia and San Zeno. It is located on a hill and was mentioned for the first time in the 15th century. In the course of time it has repeatedly been renovated and renewed. The main altar is preserved in Baroque style, the new altar was created in 2006 by the Markus Gasser, an artist of Bressanone. The side altars come from the Tyrolean capital of Innsbruck.